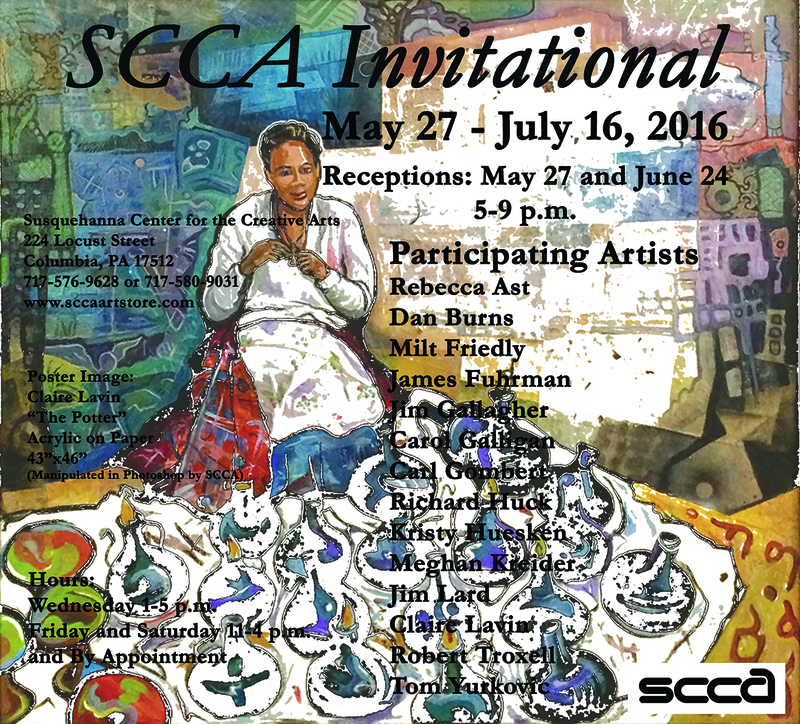 The Susquehanna Center for the Creative Arts is holding an Invitational this coming Friday, May 27, from 5-9 p.m., at 224 Locust Street, Columbia, PA. The show is curated by Milt Friedly and Robert Troxell and features many local talents including Dan Burns, Jim Gallagher, Carol Galligan, Claire Lavin and Richard Huck. 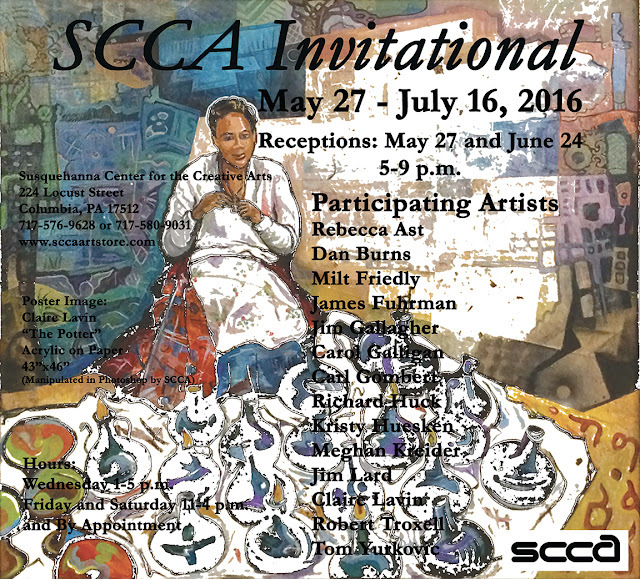 In addition we have included some of the area's young emerging talent: Pottery by Rebecca Ast; Paintings by Kristy Huesken and Meghan Kreider; and sculptor Tom Yurkovic. Printmaking by Milt Friedly, Robert Troxell and Shawn Williams. Pottery by Milt Friedly, Jim Lard and Robert Troxell. Stamped fine art by Tennesee artist Carl Gombert. And a special floor installation by James Fuhrman.